Click on the Play now tab. Choose the number of entries you would like to purchase. Make an additional donation if you wish (remember to tick the Gift Aid box if you are a UK taxpayer and wish for us to claim Gift Aid on your donation). Click the ‘Go to Payment’ button to proceed to the payment page. On completion of payment, you will be sent an automated email containing your generated raffle entry number(s). If you don’t receive your email try checking your junk and spam folders. 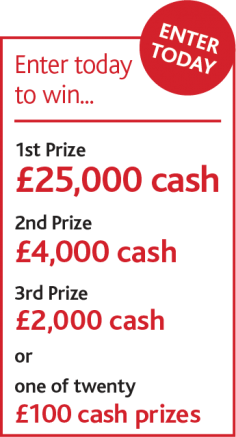 These numbers will be entered with all sold paper raffle tickets into our draw on 31 May 2019. If you are one of our lucky winners, you will be contacted within 2 weeks of the draw. A full list of winners will be available on this website by clicking here within 2 weeks of the draw. Children with Cancer UK Registered Charity Number: 298405. Registered office: 51 Great Ormond Street, London WC1N 3JQ. Children with Cancer UK is registered with the Gambling Commission under the Gambling Act 2005, reference 4700. Responsible person: Pippa Ball, 51 Great Ormond Street London WC1N 3JQ.